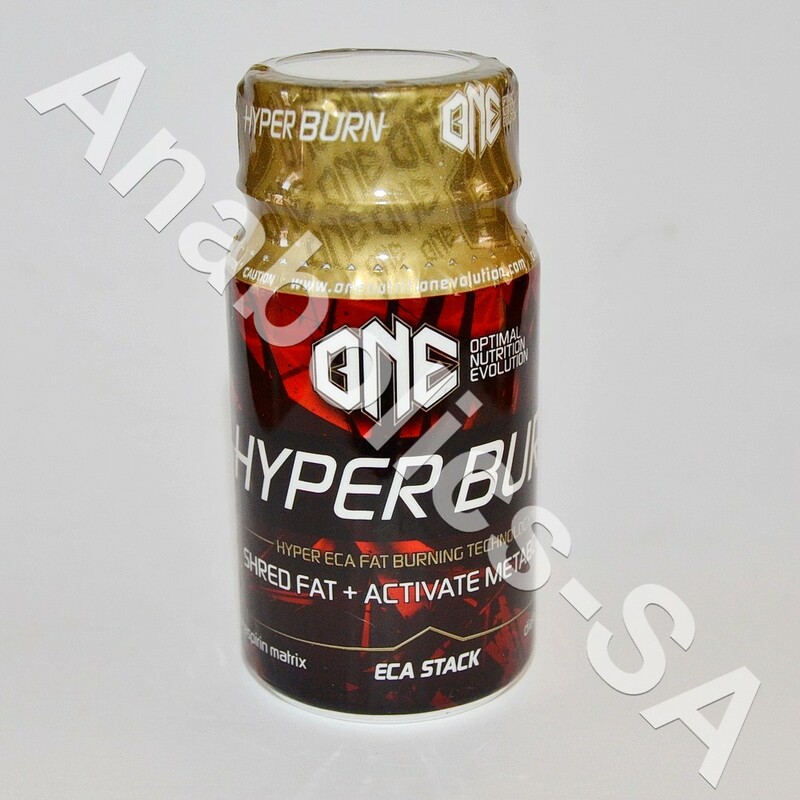 SKU: 1127 Category: FAT-LOSS Tag: O.N.E. Ephedrine and Caffeine work together synergistically. When stacked, the combined effects of Ephedrine, Caffeine and Aspirin are far greater than the sum of their effects when used alone. 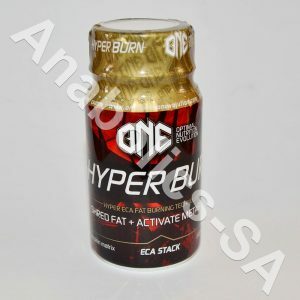 HYPER BURN assists in increasing weight loss, heightens athletic performance and boosts energy. Ephedrine dosing schedules may vary in relation to body weight and weight loss goals. Do not exceed 75-100mg dosages of Ephedrine in 24 hours. Do not take HYPER BURN on an empty stomach. Preferably take HYPER BURN 45 minutes to 1 hour before meals, but no more than 3 times per day. When starting out with HYPER BURN, the recommended dosage is one per day, preferably 30 minutes before your workout, 30 minutes before breakfast or first thing in the morning. Take one capsule before breakfast, lunch & training. Test your tolerance levels first before deciding to take more capsules throughout the day. Take one or two capsules before training.